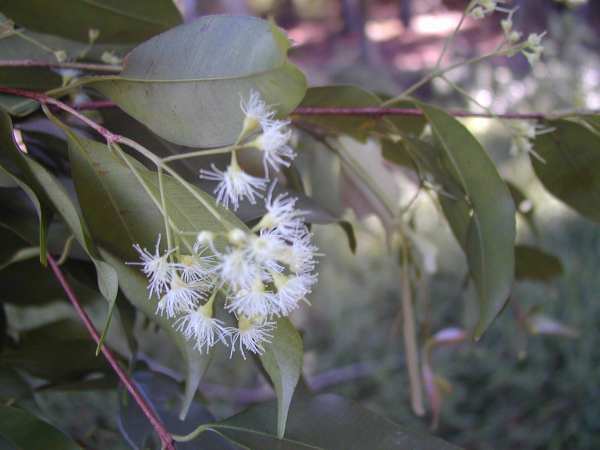 Syzygium floribundum , F. Muell. A native of Australia, Waterhousea floribunda grows up to 30 metres in height and has attractive weeping branches, which are used for shade and shelter. This tree has been introduced into French Polynesia and has become invasive on the Island of Moorea. The fruit is eaten and dispersed by birds; a fact to be mindful of when considering control methods or preventative measures for this plant. Present in Tahiti and Moorea, French Polynesia. Mesic and wet low- to\r\nmid-elevation sites (mean annual rainfall > 1,500mm ; elevation < 600m in\r\nthe Society Is.) (Jean-Yves Meyer, pers. comm. 2004). 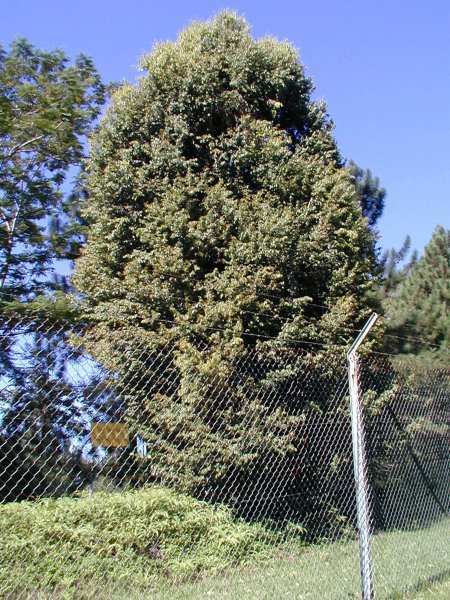 Recommended citation: Global Invasive Species Database (2019) Species profile: Waterhousea floribunda. Downloaded from http://www.iucngisd.org/gisd/species.php?sc=483 on 19-04-2019. Informations on Waterhousea floribunda has been recorded for the following locations. Click on the name for additional informations. Available from: http://www.hear.org/pier/species/waterhousea_floribunda.htm [Accessed on 31 March 2004]. ASGAP. guide to Australian plants. � Copyright 1995-2003 - The Association of Societies for Growing Australian Plants. Summary: Synonyms and common names. Available from: http://farrer.riv.csu.edu.au/ASGAP/changes.html [Accessed 9 June 2003]. Australian Plant Name Index. Australian plants, botany and horticulture. Summary: Index of Australian plants and reference material for them. Available from: http://www.anbg.gov.au/cgi-bin/apx?taxon_id=35063 [Accessed 9 June 2003]. Florence J., Chevillotte H., Ollier C. & Meyer J.-Y. 2007. Ardisia elliptica Base de donn�es botaniques Nadeaud de l Herbier de la Polyn�sie fran�aise (PAP). Summary: Base de donn�es sur le flore de Polyn�sie Fran�aise. Florence J., Chevillotte H., Ollier C. & Meyer J.-Y. 2007. Waterhousea floribunda Base de donn�es botaniques Nadeaud de l Herbier de la Polyn�sie fran�aise (PAP). Greengold Garden Concepts, 2003. Greengold Internet Website. Summary: Distribution of the plant in Australia (Queensland and New South Wales), and a brief description of the plant. Available from: http://www.greengold.com.au/greengold/CARENOTES/CARENOTES/lilypily.htm [Accessed on 31 March 2004].